with torsion and infarction of these appendices and can simulate diverticulitis if they occur in the sigmoid colon, and appendicitis if they are located in the proximal colon. CT reveals a characteristic small, round, or oval fat-containing mass with associated inflammatory reaction of the pericolic fat (Fig. 5) . 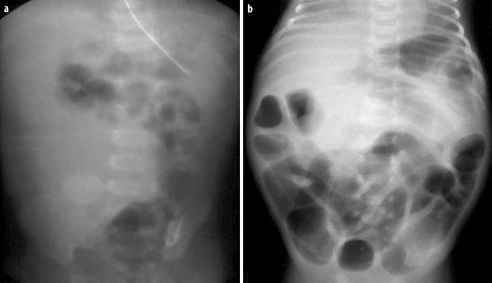 Epiploic appendagitis is a self-limited process with clinical resolution seen within a few days. 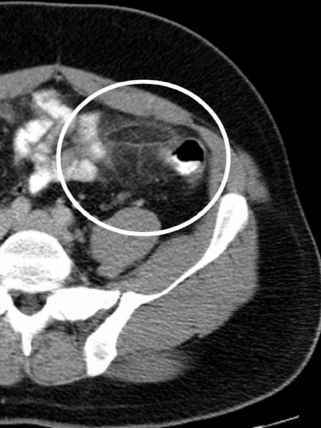 Follow-up CT examination may show total resolution in shrinkage with eventual calcification of the inflamed and infarcted epi-ploic appendix.